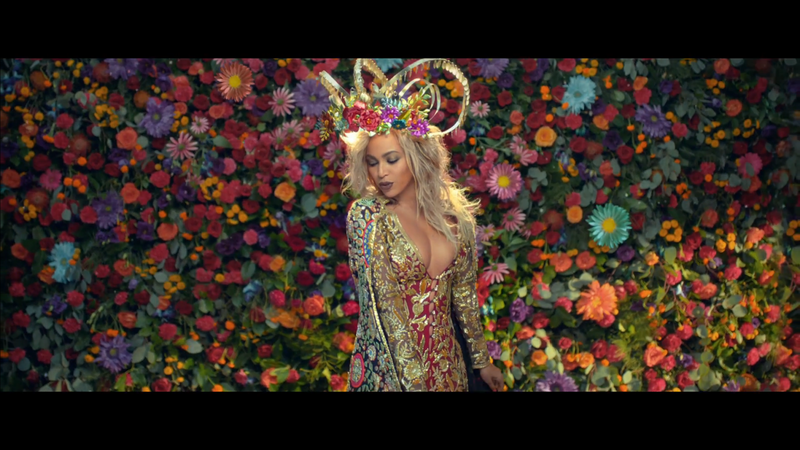 Have you seen the new Coldplay video "Hymm for the Weekend" featuring Beyonce? Queen Bey's crown is bar far the most stand out accessory featured in the video, which is currently taking the internet by storm! Possibly you have been wondering who designed Beyonce's crown. Designer ​Laurel DeWitt, known for one of a kind metal apparel and regal crowns and headdresses, is excited to ​give you the behind the scene details on Beyonce's crown in the new Coldplay video, "Hymn For The Weekend. ​"​Styled by Zerina Akers, Beyonce dons a hand sculpted Laurel DeWitt crown highlighted with metal flowers, entirely hand-cut, hand-rolled, and hand-painted to create a stunning display of incredibly meticulous metal work. The crown is specially made of lightweight metals for Beyonce.​ The crown took nearly a month to conceptualize and create. The handwoven metal structure serves as a the foundation and is reflective of the designers sculptural aesthetic. The focal point, the metal flowers, showcase the Spring/Summer 16 transition into colors and metal floral applications. This serves as Beyonce's debut in Laurel DeWitt. Ms. DeWitt, inspired by global regalia, is self-taught in the craft of metal mastery. With fashion at top of mind – wearable, elegant clothing with metal at its core – this upcoming season will not be one to miss. Learn more about Beyonce in our fashion celebrity section.